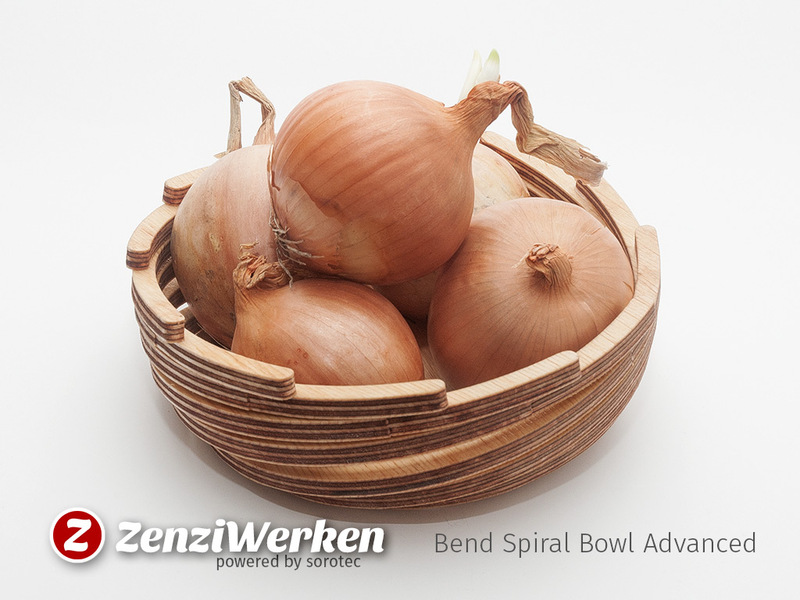 After the this feedback of my first Bend Spiral Bowl I started to research for an improvement that would make the built easier. 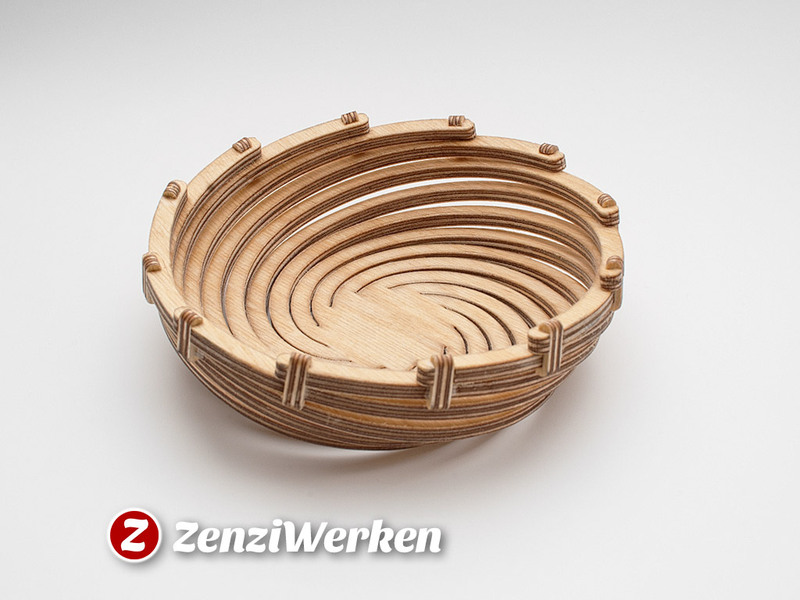 It took me a darn whole day and several prototypes to realize, that it couldn't be easier than this: after breaking the spiral arms several times I started to water the wood and heat it up in the microwave oven. 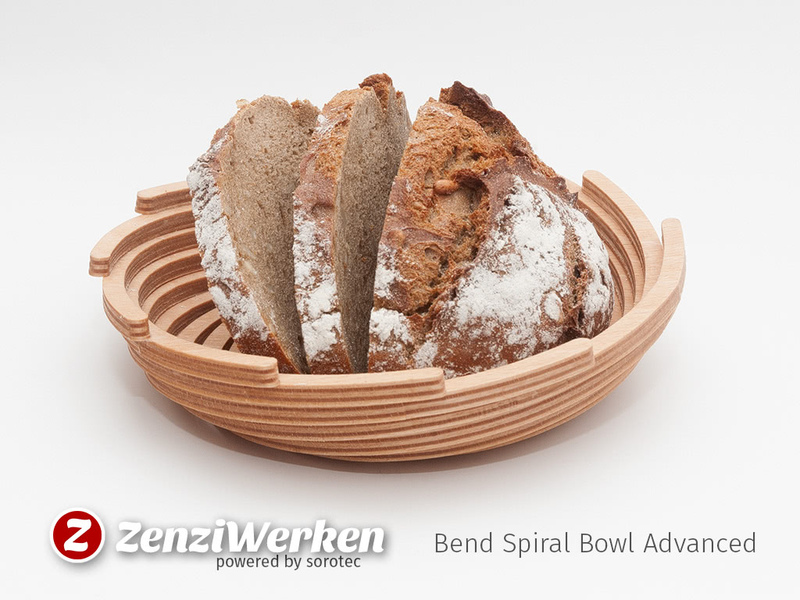 As last time I used a suitable bowl to bend the arms into position. Now I discovered that you don't even need those brackets. When cooled and dried the arms stay in position and just a little drop of wood glue secures them completely. 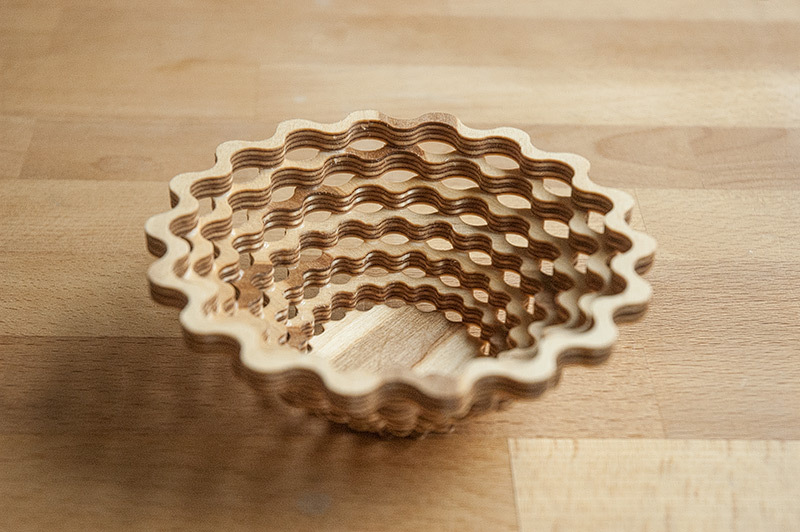  Download at Thingiverse at Instructables buy me a coffee commercial license? 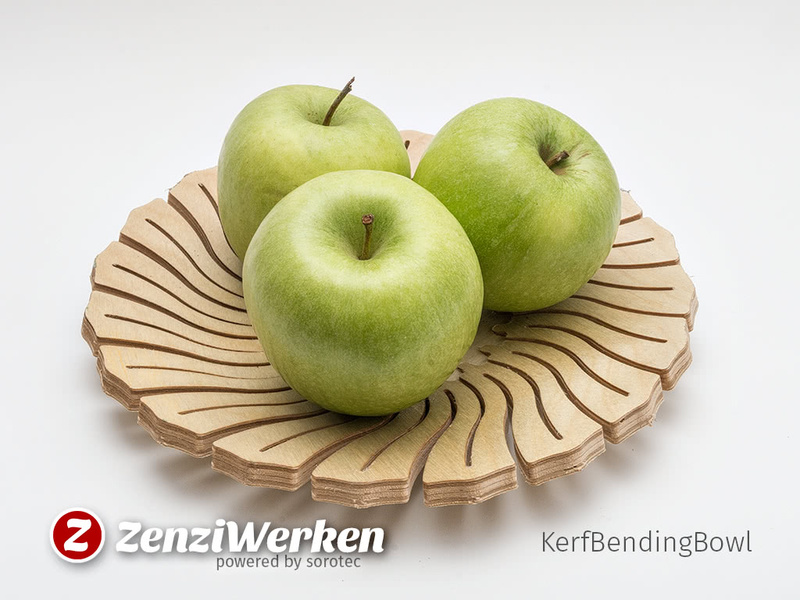 This is more of a geometric experiment than an actual usable fruit bowl design. 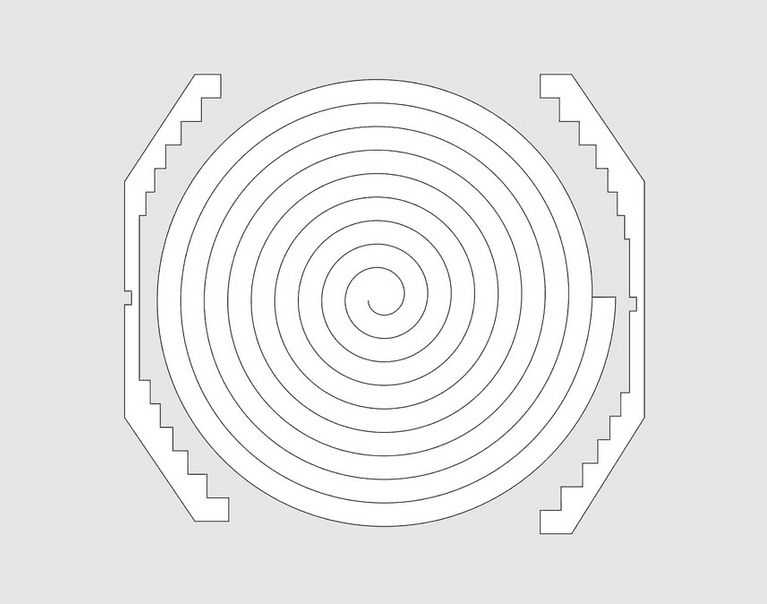 I just had fun calculation the various diameters of the circle segment and the inner circle. 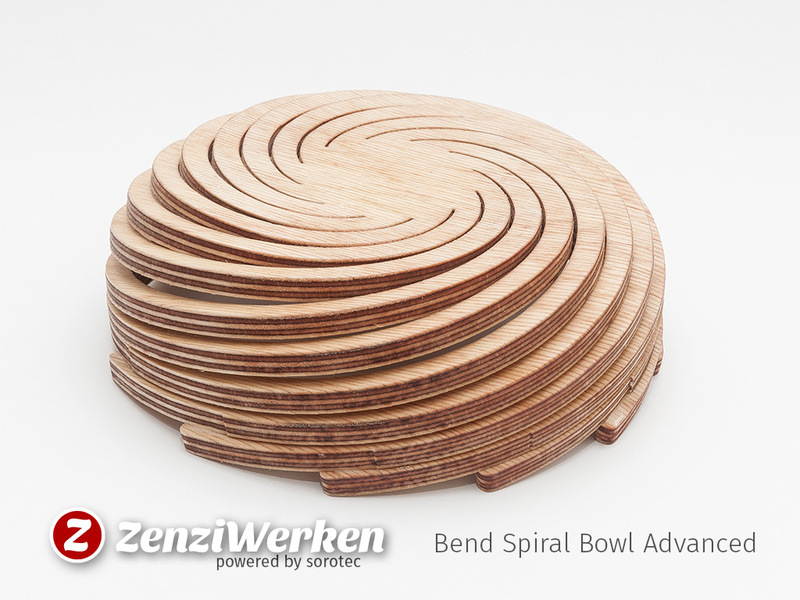 In my mind, the brim might be a little higher, but I had to use the bending method I used for the spiral bowl to even get the look of a plate. Maybe someone likes to make a derivate that works better. 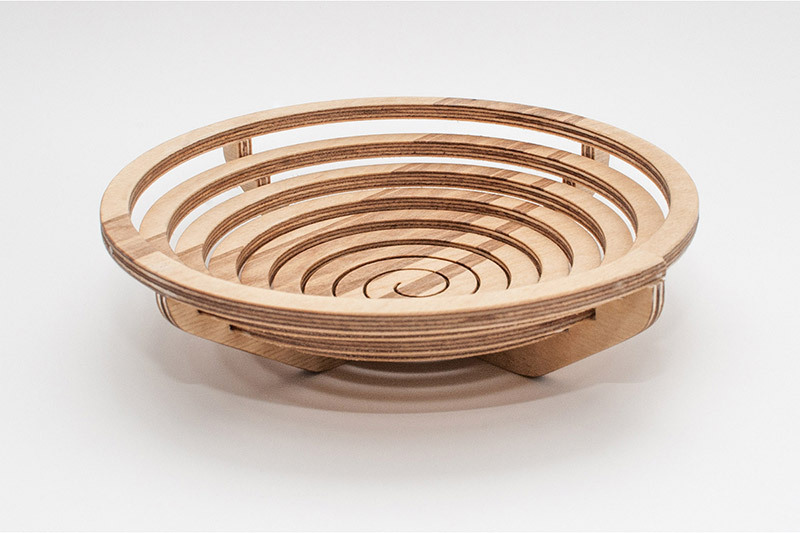 The build was done on a desktop cnc-machine by Stepcraft from 9 mm birch plywood using a spiral-toothed 1.5 mm flute. I glued the parts and used some clear coat to seal the surfaces. 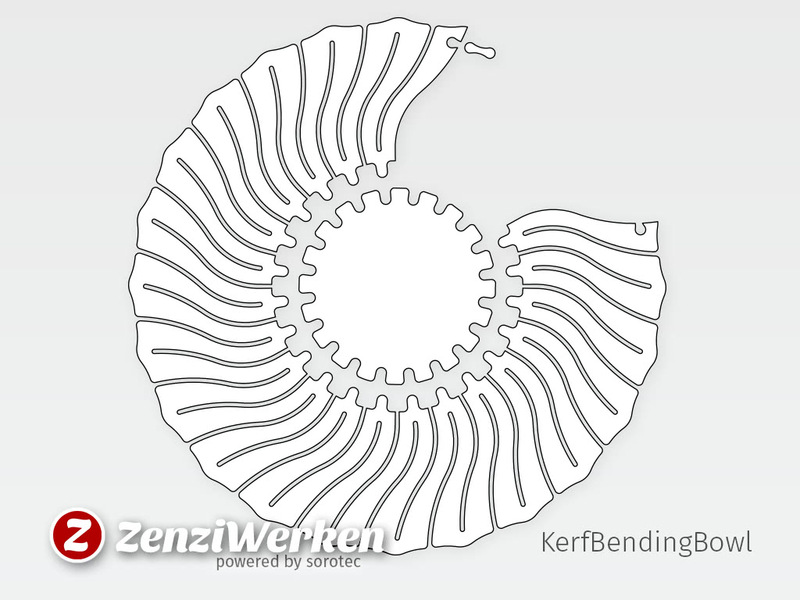  Download at Thingiverse buy me a coffee commercial license? 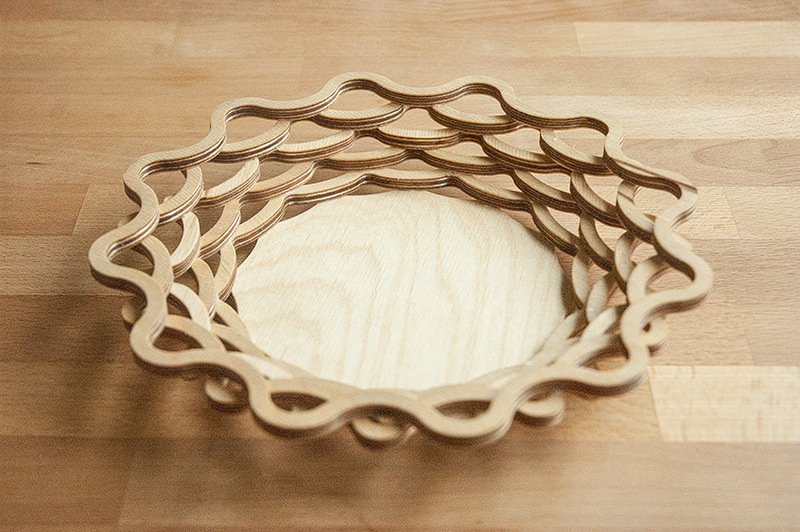 These bowls, inspired by scroll saw patterns of Steve Good show a perfect material usage. 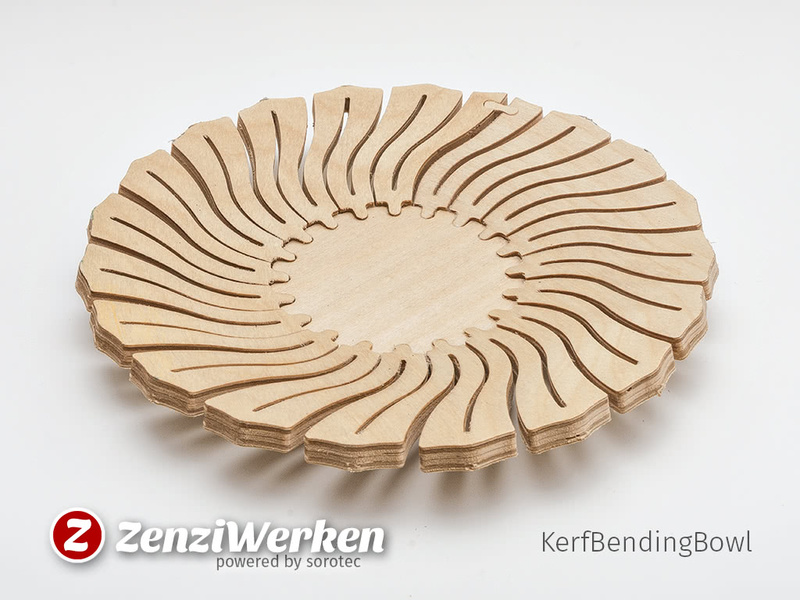 On a cnc-router it's much easier to make on than on a scroll saw as Steve use them and the round shapes allow a steady (and fast) feed rate. 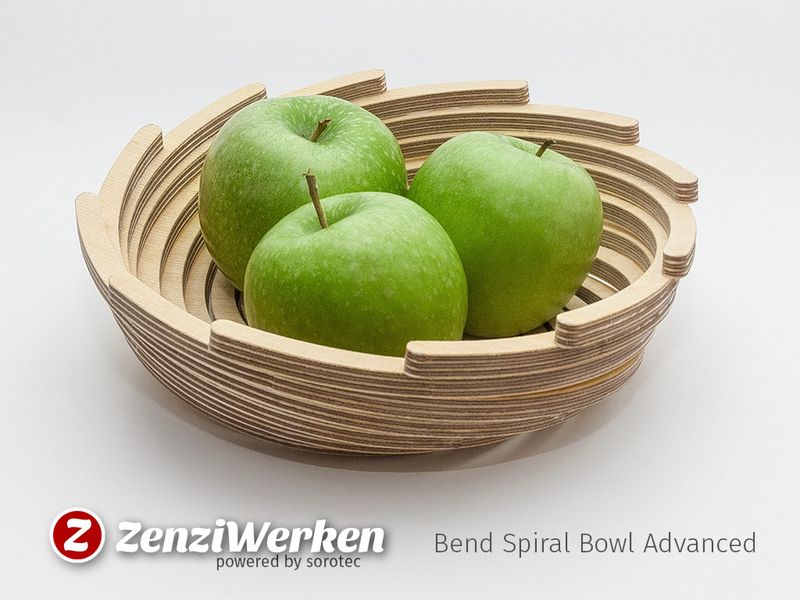 The bowls can be used as a candy bowl, for your keys or as a fruit bowl. 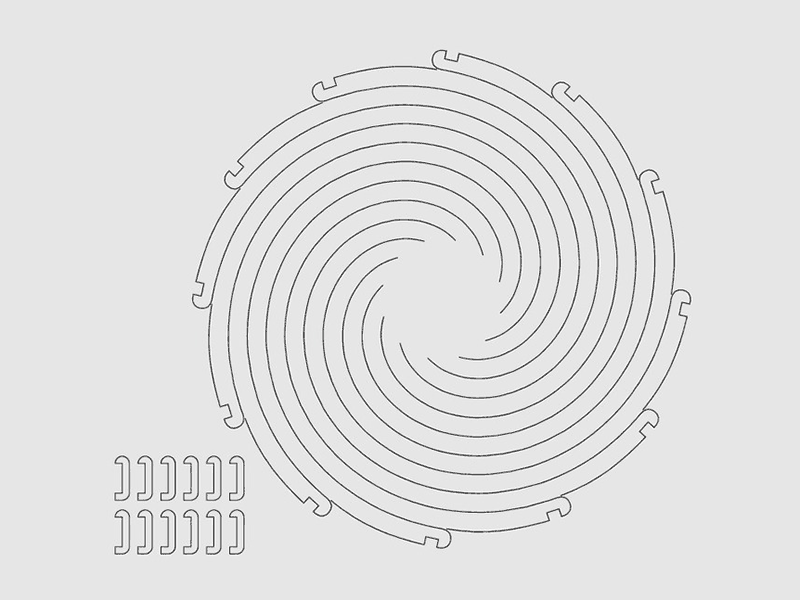  Download DXF buy me a coffee commercial license? 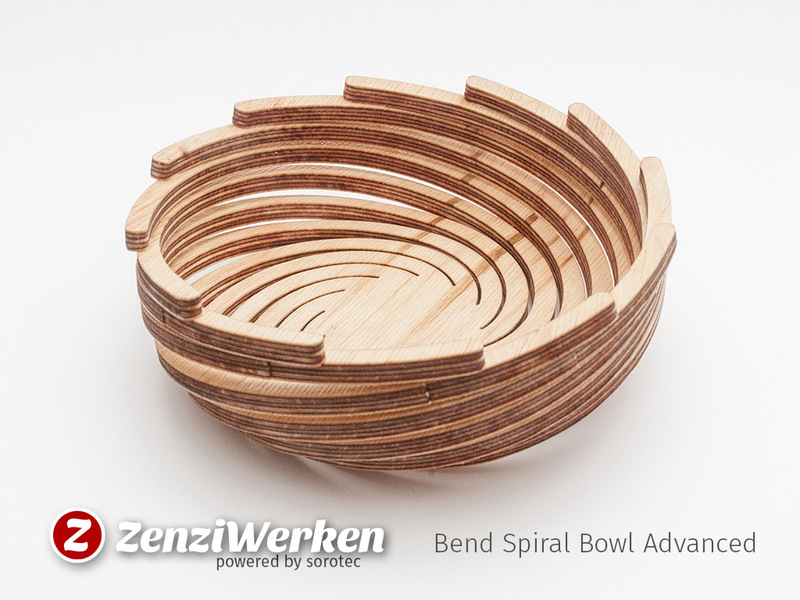 Experimenting a bit more with spiral design and wood bending, this small bowl came to life. It turned out, that a little fixation using small brackets is needed.